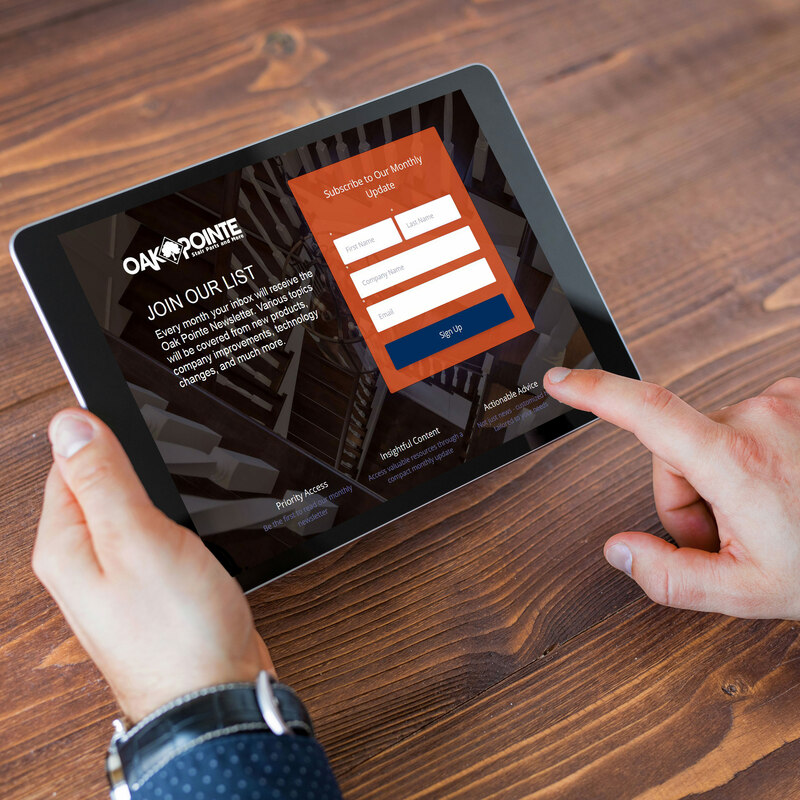 Following the launch of our brand-new website, Oak Pointe is pleased to introduce our new email newsletter. Our first issue will be sent in January and we will regularly deliver original content the third Tuesday of every month. The newsletter will give recipients first-hand access to all Oak Pointe updates and information. We will feature products, capabilities, and general updates, as well as a behind the scene look at Oak Pointe. We hope this will be a welcome addition to your inbox and encourage you to subscribe here. As people who regularly receive large amounts of email, we never want to contribute to the noise. Our goal with this newsletter is to create something that is genuine and beneficial to our readers. We chose a monthly schedule to ensure that our correspondence is never overwhelming and that the content delivered is relevant. We welcome any feedback and will seek to continually improve each issue through the ongoing exchange of knowledge, insight, and ideas.